Sharon had a great idea for a variation on the word flashcards. Instead of putting the letters on a staff, why not put them on the keyboard as well? Well, here they are. It would be fun to mix the cards together with the other set to really keep students on their toes! My mainstay for everything is Microsoft Publisher. I use it for everything. I have tried using Word, but always end up frustrated. I like the fact the Publisher lets me put things where I want them without the trouble of messing with margins. I have a old version, 2000 I think, and someday I’ll have the money to upgrade. If you don’t have Publisher, don’t worry. Any program such as PrintShop, Photoshop, or program along that vein will work fine. Many people also successfully use Word. I am just not one of those people. For all of the flashcards and rhythm cards, I use tables. I often do 3 columns and 4 rows, or 1 column and 4 rows, depending on what I need. For the rhythms I will “subdivide” the squares into lots of smaller squares. That makes things neat and straight. 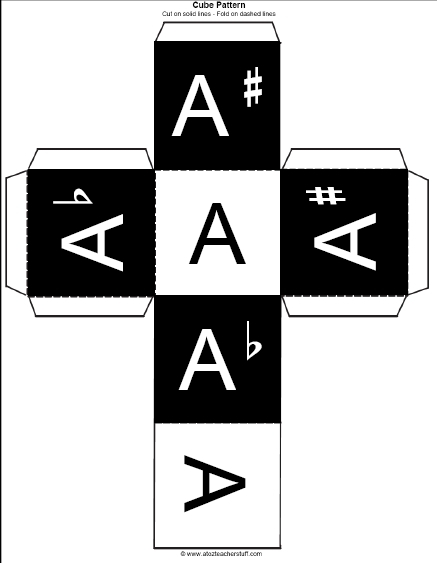 There are some free notation font programs that can be found on-line. 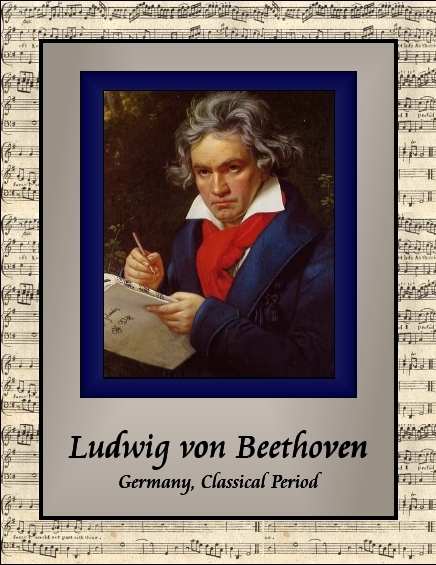 John from the Yahoo Piano Teachers forum has kindly put these together into one file. (By the way, John is my inspiration. Without him, most of the stuff here wouldn’t exist. Thanks, John!) You can find these in the Files section of the Yahoo Piano-Teachers list. The music font program I use now is from www.macmusicfonts.com. They sell a package of two fonts for $41. Staffwriter is a font with the notes, sharps, flats, and such on a staff. Keynotes has notes of various values, signs, and so on without the staff. The fonts also come with a great little keyboard map, showing what key produces what symbol. That little map alone is worth the $40. The program works both on PC and Mac. I love, love, LOVE this program. It is the best money I have ever spent, and would do so again in a heartbeat. Check out their website for lots of examples of worksheets and games made with these fonts. 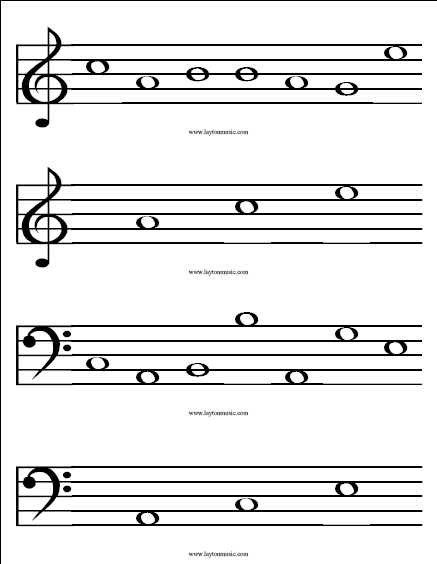 Now for an important note: when using the notation programs, sometimes the lines of the staff look like they are not straight and even on the computer screen. Don’t worry. It all prints out just fine. Also, you will need to increase the font size, sometimes a great deal, do get the look you want. I find most of the images on-line. I use Google Images most of the time. Do be careful, though. You can get an eyeful from some very innocent key words. Like the time I wanted a picture of soccer balls, and just typed in balls instead of soccer balls. That wasn’t the smartest thing I’ve ever done! I have a Photoshop-type program I use if I need to tweak the graphic a bit, or add color to the coloring book images. The only exception is the keyboards. Most of them I drew myself in Publisher using rectangles. When I am happy with the image I will copy and paste it into the document where I want it to go. If I ever took the time to use the Photoshop program sitting on my computer to it’s fullest capabilities, I might even find that I don’t need to use Publisher as my base program. Primo PDF is a free program I use to convert everything into a PDF format. It is a slick little program. When you go to print the document, you select PrimoPDF as the printer. Push print, and viola, you have a lovely PDF document any computer can read. So, in a nutshell, I use Microsoft Publisher, MacMusicFonts, Google Images, a Photoshop-type program, and PrimoPDF. Most importantly, though, are the ideas I get from my students and other teachers. Very little of what I do is original – I just tweak things and put on paper the great ideas of others. Lets Have a Spelling Bee! This is another of Sharon’s great ideas. I used Natalie’s list of words that can be spelled with the musical alphabet at musicmattersblog.com to make these cards. One side is the word spelled on the staff, and the other side is the word written out. All words are spelled in both clefs. The lines of the staff don’t look perfect on my computer screen, but they print out beautifully. Line students line up in 2 teams and have students try to say the word before the other team. Another variation is to show the word side of the card and have students write the word on staff paper or a white board. They could work individually, or race against each other. This would be a great game for a group lesson. To use in an individual lesson, have students play the words that are spelled on the keyboard. Maybe they could use a couple of their favorite words to begin their own composition. Post any other ideas of how to use the cards in the comments below!